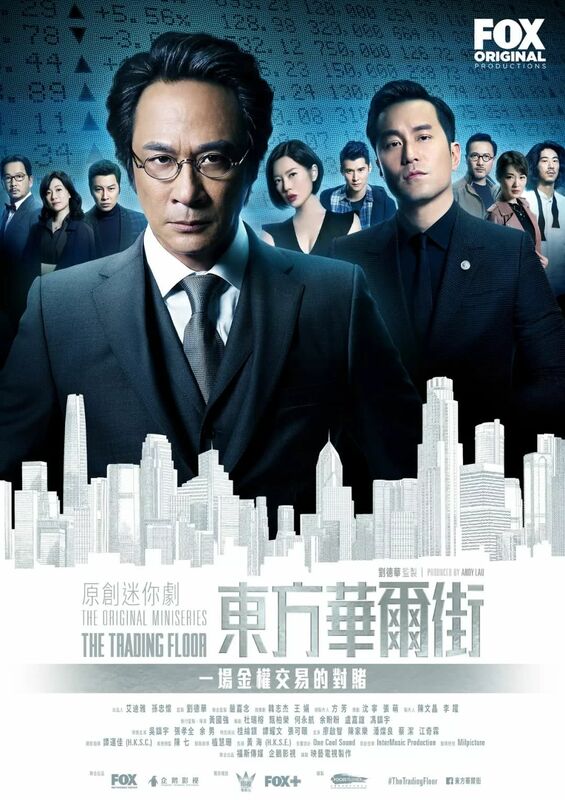 An ambitious mini-series co-produced by FOX, Tencent Penguin and Andy Lau’s Focus Television Group, The Trading Floor was created by Cora Yim and is a rare five-part mini-series in a part of the world where all popular TV dramas count dozens of episodes. It takes place in a fictional version of Hong Kong called Coen City, and follows Anthony Yip (Francis Ng), a former economics teacher turned Secretary of the Minister of Economic Development. Twenty years ago, he created an elite financial team including also Pamela Cheung (Maggie Cheung Ho Yee), Nick Cheuk (Patrick Tam) and Wai Hong (Joseph Chang); but years after working with them to avoid a financial tsunami caused by George Soros in 1997, Yip betrayed his team to obtain more power and a government position. Cheung was killed, Cheuk crippled and Wai exiled to Myanmar. Now having struck an alliance with three financial giants, Eastman Properties, Evergate Construction Materials and Marco Media, in a bid for market manipulation and dominance, Yip calls back Wai from his Burmese exile to help them. But Wai has vengeance on his mind, while Claudia Fang (Yu Nan), an agent from the Securities & Futures Commission, has set her sights on him.